On March 5, the SNU College of Engineering announced that it will hold Korea’s very first co-taught simulcast course with the University of Tokyo. Professor Han Seungwu from the Department of Materials Science and Engineering at SNU and Professor Satoshi Watanabe from the Department of Materials Engineering at the University of Tokyo are scheduled to co-teach the course. SNU and the University of Tokyo have collaborated on providing web-based conferencing courses since 2007. To date, Seoul National University has offered 27 courses and the University of Tokyo has offered 11 courses. While previous joint lectures were hosted by a single university, the new joint lecture model will be co-taught from both Seoul and Tokyo. The contents of the lecture will focus on each professor's area of expertise. 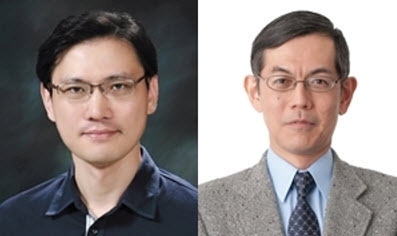 Professor Han will cover defects in semiconductor materials while Professor Watanabe will introduce computer simulation methods of nanomaterials. The joint lecture has attracted the interests of not only students studying materials engineering but also those in majors such as chemical engineering and chemistry. The two professors were said to have maintained close relations through collaborative research efforts and began discussing the possibility of a joint lecture about a year ago.